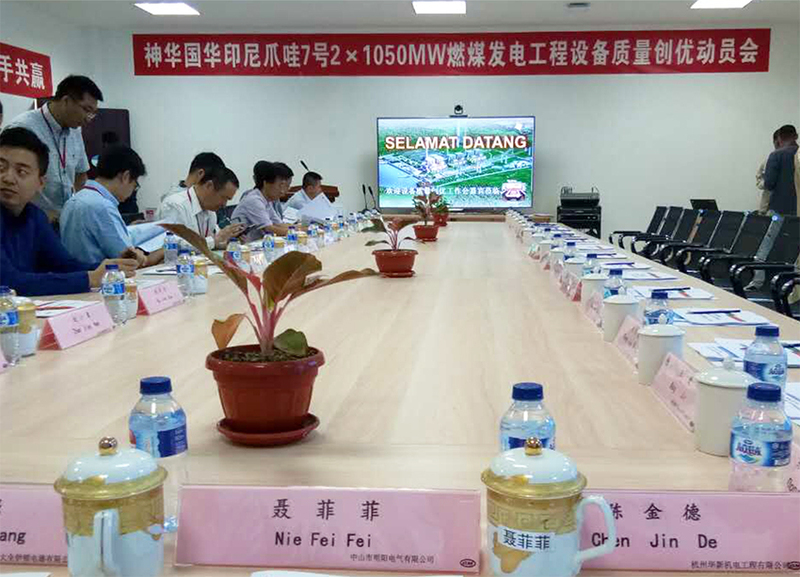 On Aug. 29, 2017, Shandong Electric Power Engineering Consulting Institute Corp., Ltd. overall took charge of organizing each equipment supplier to held the “Mobilization Meeting on Creating Excellence in Equipment Quality” on the scene of Java Indonesia No. 7 Project. As the supplier of low-voltage switchgear for this project, on the “Mobilization Meeting on Creating Excellence in Equipment Quality for Java No. 7 Project”, Mingyang Electric made a solemn promise that it will actively carry out spirit of the meeting of “creating quality equipment relying on responsibility and integrity, construction of demonstrative station as the honor and mission, honesty and trustworthiness, keeping promise and cooperating to succeed ”, provide first-class equipment and service on time according to quality and quantity and strive for becoming a high-quality supplier in Java No. 7 “One Belt and One Road” exquisite park. The “Java No. 7” is the flagship project of Chinese “One Belt and One Road”, the first 1000mw pressure unit exported overseas, the first supercritical unit of Indonesia and the independent power producer (IPP) project, for which Perusahaan Listrik Negara makes an open tendering globally. The site of a factory of this project is at about 200km away from northwest of Djakarta with the installed capacity of 2×1050MW. This project is jointly invested and developed by Guohua Indonesia Java Electricity Generation Co., Ltd. and Indonesia PJB. Shandong Electric Power Engineering Consulting Institute Corp., Ltd. and Zhejiang Thermal Power Construction Co., Ltd.form a union for project general contracting. 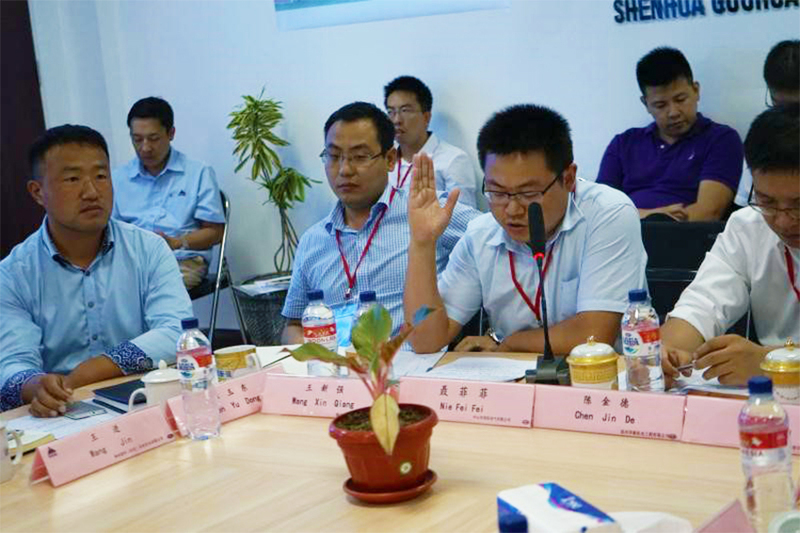 On the mobilization meeting, as the general contractor, Shandong Electric Power Engineering Consulting Institute Corp., Ltd. made an oath that it will take up the heavy responsibility of Chinese standards, making in China, China construction and Chinese management jointly with all excellent equipment suppliers. Let’s be aggressive, make progress together and complete high-quality equipment supply earlier so as to do our little bit to help China Power to go to the world and to make great efforts to become a respected international brand.